€4949.02+ TT Core P7 "Bucket List 2.0" Corvette Tribute Build - Carbon Fiber Tubes and BP Fittings Overload! €1845.18+ Threadripper Workstation - Rendering + Picture edit. Really not much to say but this memory runs as advertised at 3200Mhz. Any of the issues I would say are based on the motherboard used and it's immaturity. My expereinces are in detail in the Asus Crosshair VI Hero review above. My only gripe with this memory is the price, you definitely pay for it and especially now that prices are increasing it'll bruise your wallet just a bit more. However I can attest that this can run 3200Mhz all day as long as you find the right settings with your motherboard of choice. For what it's worth it wasn't that hard, in fact is was pretty much effortless. This worked out of the box using A-XMP profiles @ 3200, very happy with this RAM. Very solid. 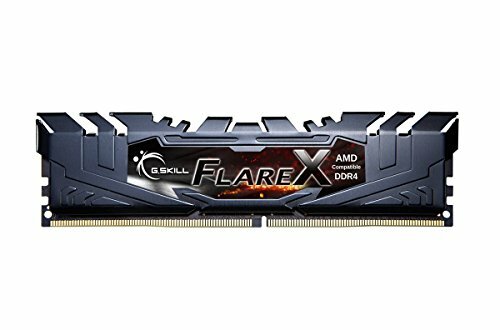 Ryzen recommended and was on the early list for compatibility. It loaded right up to 2933 and then when the bios updated, I got to 3200 via xmp. The timing settings are the best too. I think it'll go higher too, but I ok with leaving good enough alone for now. Runs at advertised speeds what more can you ask for. You can access your memories at the speed of 3200 with these puppies. That's pretty great. 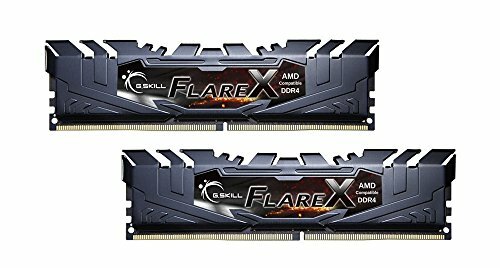 Currently the only Ram i know for a fact works with Ryzen out of the box great speeds but there a little pricey and I'm not the biggest fan of the heat spreaders. My 4th build using G.skill ram, works like a charm, hits its timings, never had any defects. love their work, if not the current pricing. Runs at 3200mhz when DOCP is enabled on a Asus Prime B350-Plus, no hassle whatsoever. Love it. Excellent RAM however the price was not quite what I was hoping to spend. Given my APU's need for faster RAM and my desire to upgrade to a dedicated GPU in the future, I was satisfied with spending a bit more on memory. I was able to run @ 3200 out of the box upon enabling XMP 1 in the BIOS.